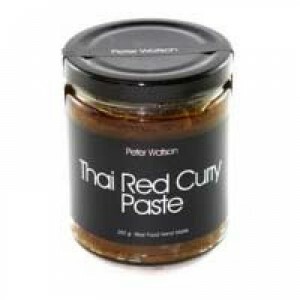 Red curry is a popular Thai dish consisting of curry paste to which coconut milk is added. Common additives are fish sauce, sugar, Thai eggplant, bamboo shoots, thai basil and meat such as chicken, beef, pork, shrimp, frog, snake or duck. 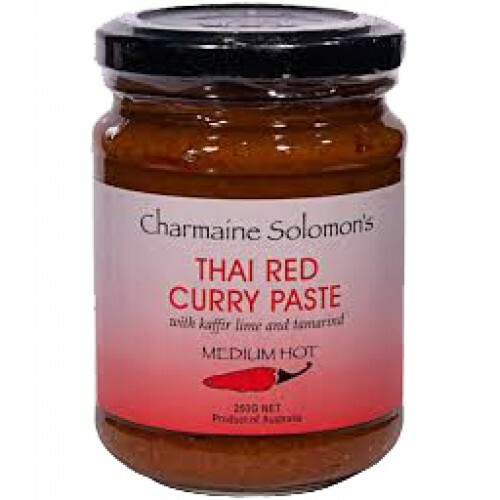 Equally delicious with seafood, poultry or meat, Charmaine Solomon's Thai Red Curry is redolent of galangal, lemongrass, coriander root and kaffir lime, is for those who enjoy some heat. Serve with rice. Medium hot. 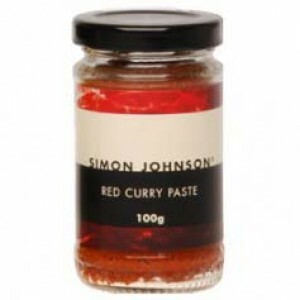 Stir half a jar of Charmaine Solomon's Thai Red Curry Paste into 1/2 cup water and boil for 3 mins or fry gently in 1 tablespoon oil. Add 500g - 750g sliced meat or poultry, cover and simmer until tender. Stir in half to 1 cup coconut milk and simmer 5 minutes, uncovered. If using seafood, add after coconut milk and cook only until opaque. Serves 6 with rice. 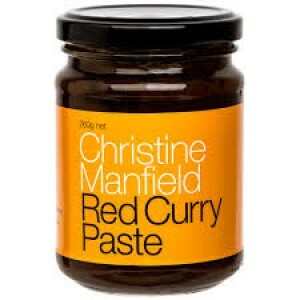 A blend of onion, garlic, galangal, ginger, red chillies, coriander roots, lemon grass, spices, canola oil, shrimp paste, fish sauce, cane and palm sugars, salt, kaffir lime, tamarind, citric acid.